Learn to overcome negative thoughts and receive God’s peace that passes all understanding. 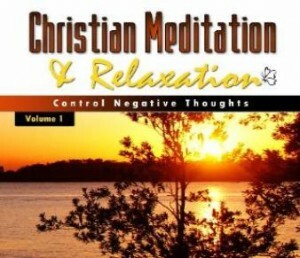 This CD includes the three meditations CONTROL NEGATIVE THOUGHTS, QUIETING A RESTLESS MIND, and MORNING DEVOTION. Each meditation begins with a progressive relaxation, followed by a Biblical narrative with relaxing background music. MORNING DEVOTION: This meditation sets the tone for your day by helping you to give God the first fruits of your day. Meditate on God as your provider, guide, and protector each and every day.